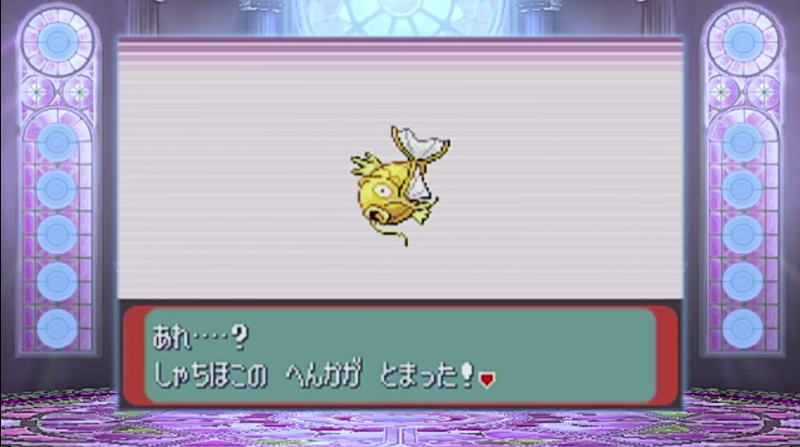 Back in 2011, a live-streamer named Leomon began playing with a Shiny of the most useless Pocket Monster. Almost six years later, the trainer has finally become a champion with that fish. After the stream, Leomon posted on Twitter that it didn’t matter if you had a strong or a weak Pokémon, that if you were really a skilled trainer, you should try your best to win with the one you like. Leomon likes Magikarp, it seems. In the recap clip below, you can see the last thirty minutes (this was originally streamed on NicoNico on May 5, where it racked up 475,000 views). Leomon’s victory inspired other Twitter users to send congratulations as well as fan art from those who have been following this quest over the past five and a half years.